Skagos is a Canadian black metal/folk metal band that focuses on nature, mysticism, and environmentalism. 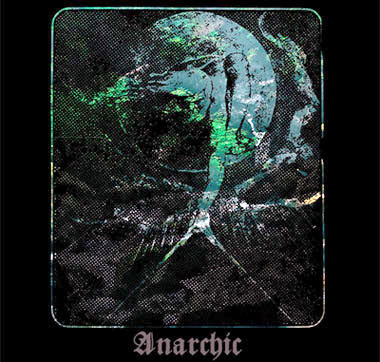 A part of the rapidly expanding Cascadian Black Metal scene, the two-member band released its second full album, Anarchic, this year. 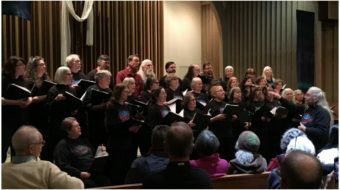 Composed of two musical pieces, each over 30 minutes in length, the release offers a poetic perspective on the current state of the natural world. As per the album title, Skagos musicians Ray Hawes and Isaac Symonds continue onward in their own style, oblivious to the musical “laws” established by the traditional black metal artists that preceded them. 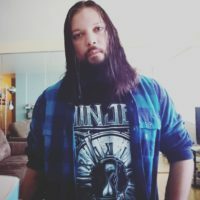 Incorporating folk music and acoustic guitar sections into what is typically an abrasive subgenre of heavy metal is not easily done. Skagos are among the few artists who have mastered the technique. Black metal was, when it first developed in the 80’s, a genre with a rigid set of rules; raw production, shrieked vocals, and heavily distorted guitar were its hallmarks. These aspects have always been attractive to fans of the genre, who were looking for something atypical and outside of the mainstream. And yet, there are many musicians within the scene, like Skagos, who have decided to break away from that rigidity and integrate other elements into the overall sound. Though Skagos never directly reference it, they evoke recent issues of environmental tampering, making one think of destructive operations like deforestation and mountaintop removal. Such thoughts, it turns out, aren’t too far off the mark: Skagos have a progressive recent history, having previously recorded a split-release with black metal-bluegrass band Panopticon, whose recent songs deal with the anti-worker behavior of the coal mining industry and the industry’s detrimental effects on the Appalachian region, particularly in Kentucky. As Ray Hawes put it in an interview last year, the songs simply offer an environmental perspective on what classic black metal was saying all along. “Black metal can be argued to have emerged as a cultural rejection and resistance to the status quo,” he said. “It was always birthed of a deeply forlorn knowledge that things were not always as they are, and the idea that we may never again know what has been lost to us.” Such an idea seems highly referential to the environmental purity that has been lost to the hands of oil corporations, coal mining companies, and other profit-driven groups that have taken away some of the natural beauty that once was. 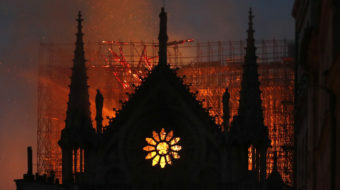 In critiquing such devastation, Anarchic conjures up some of that beauty once more.